During the last few years, 5G has become a huge buzzword. We know it means faster, stronger cellular signal, but there hasn’t been as much talk about the implications for businesses, especially those involved in manufacturing. To understand the importance of 5G for manufacturing, you need to understand the ways cell signal already impacts manufacturing today. Right now, manufacturing plants, warehouses and product processing facilities across the country are relying on digital technology and network connections 24/7 to power their operations. From monitoring inventory to safety management and engineer communications, strong cell signal has become critical to modern manufacturing. However, current 4G LTE has its limitations, as it can’t meet the demands of manufacturing systems for high data rates, increased numbers of connected “things,” reliability and coverage. 5G is promising a solution that will be capable enough to handle all of this and more. But when will it get here? The telecommunications industry has been laying the groundwork for 5G for quite some time, with Verizon and AT&T already undergoing trials in preparation for a rollout that will begin within the next few years. Trials are currently exploring two paths to 5G. The first and most immediate path uses radio frequencies of less than 6 gigahertz (GHz), referred to as FR1. The second, more long-term path utilizes the creation of a radio network with higher millimeter wave frequencies, including 28GHz, 37GHz, and 39GHz bands, which were approved by the FCC in 2016 and designated as FR2. Once implemented, the advent of 5G will promise a more responsive network with low latency of 1ms and data speeds greater than 1 Gbps on average and up to 20Gbps at peak performance — a huge improvement over existing cellular network speeds. 5G will be a game changer for the Internet of Things (IoT) and will enable it to further intertwine itself with manufacturing processes by supporting a connection density of 1 million devices per km2. Not only will 5G catapult business functions by enabling them to do more, faster, it will also make them more secure and responsive to customer needs. The factories of today are light years more advanced than factories at the start of the Industrial Revolution. 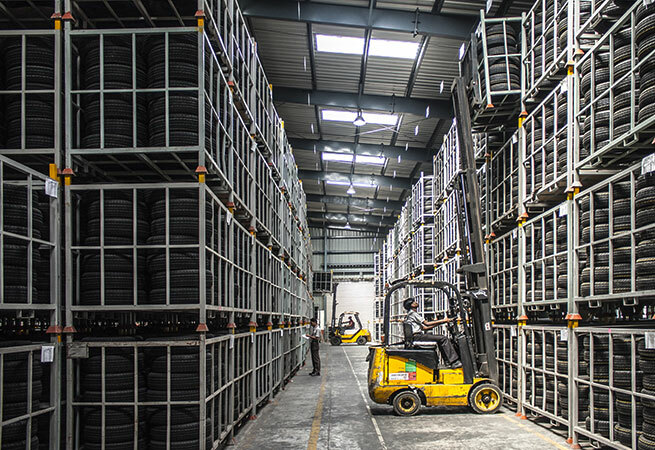 In fact, they’re already in the midst of another revolution, with smart technologies such as inventory monitoring become increasingly commonplace. With 5G, existing technologies will become even stronger and more powerful, and new IoT applications will begin to transform the industry once again. Businesses will begin to see such futuristic applications as connected devices that can sense their environments and interact with one another to make decentralized decisions, as well as fully-integrated and collaborative systems that can respond in real-time to changing demands and conditions. You’ll also see greater robotics capabilities than ever before, augmented reality that can be worked with from anywhere on the factory floor and expanded predictive artificial intelligence (AI). This will allow for improved self-optimization, automation and efficiency across the board. Unfortunately, even the best IoT devices and the fastest networks can face cellular connectivity challenges that quickly bring manufacturing plants to a halt. In an industry where expansive square footage and thick concrete walls are prevalent, poor cell signal is a common problem. Building materials such as concrete, brick and steel all impede cell signals from penetrating into the interior spaces of manufacturing structures, causing poor – or no – connectivity on current networks. And with 5G, this will become even more of an issue: as frequencies increase for 5G, the network’s greater signal attenuation requires many more antennas to cover the same amount of area as 4G LTE currently covers. This is where cellular signal boosters come into play. If you haven’t heard of them before, cellular signal boosters take existing cellular signal from outside of your building, amplify it, and then rebroadcast it inside of your building. Depending on the type of booster, you can use it to boost signal in any size building — even one as large as a warehouse or manufacturing plant. This stronger signal ensures that all of your staff remains connected throughout their posts and keeps connected systems such as security systems, safety mechanisms, and purchasing and inventory applications working properly. As more and more aspects of manufacturing rely on IoT devices, especially after the advent of 5G, the need for constant, reliable cellular signal will become more important than ever. With the help of cellular signal boosters, the industry can reap the full benefits of 5G while overcoming its weaknesses, thereby maximizing access to a new era of smart manufacturing capabilities. 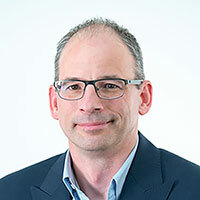 Jeff Gudewicz is the Chief Product Officer for Wilson Electronics, which manufactures WilsonPro, weBoost and zBoost cellular boosters to prevent dropped calls, undelivered email and text messages and slow data and streaming from your cellular devices. Prior experience for Gudewicz featured business development, marketing, sales, business unit and engineering management roles at RFMD, Sirenza Microdevices, Vari-L and JFW Industries. He has a diverse background in technical management, product development, marketing, sales and business development. Gudewicz holds a bachelor’s degree from Southern Illinois University in Aviation Sciences and an MBA from Regis University with a concentration in Operations Management.